Natural wine has existed for thousands of years but today it has become more common, with the concept first taking hold in the 1970s and growing in popularity ever since. Wine shops will often have a shelf dedicated to natural wine or they may even specialise in this category. But what exactly is natural wine? There is in fact no official definition for natural wine. According to the French national consumer body DGCCRF, the term natural can be applied to wine provided that the commodity in question (grapes) has undergone a natural fermentation. It is also a wine made from organically grown (AB – Agriculture Biologique) grapes without the use of weedkiller, pesticides, fertiliser or other synthetic products (the term non-interventionist is often used). The grapes are usually harvested manually, and most importantly, technical or chemical intervention that would alter the bacterial life of the wine is strictly forbidden. To illustrate this definition natural wine is sometimes referred to as living wine, and there is a natural wine charter which growers use as their reference source. The fact that there are no additives or inputs in natural wine give it its original taste, and the way it is made, based on historic methods, takes us right back to nature and a respect for the same. Natural wine is true to its terroir and is the opposite of industrial wine in terms of methodology and spirit. “Compared to commercial wines which are deliberately made to conform to consumers’ taste, natural wines are at the other end of the spectrum, staying as close as possible to the grapes’ authentic taste and reflecting the differences which come from their respective terroirs.” Gilles Vercé, vinsnaturels.fr. The question of sulphur dosage is important in natural wine making because it is kept at the lowest possible level, the maximum allowed being 30mg/litre (compared to 150mg/litre allowed by the EU) for red wines and 40mg/litre (compared to 200mg/litre to 400mg/litre allowed by the EU) for whites. Sulphur has an antiseptic and antioxidant effect on wine and thus prevents the formation of micro-organisms and oxydation, both of which, in excess, can change the wine’s organoleptic qualities. Allowing the addition of a few milligrammes of sulphur in natural wine making protects it from aromatic deterioration at the very least. No oenological inputs allowed during vinification, except for minimal amount of sulphur (sulfites) which can be added. 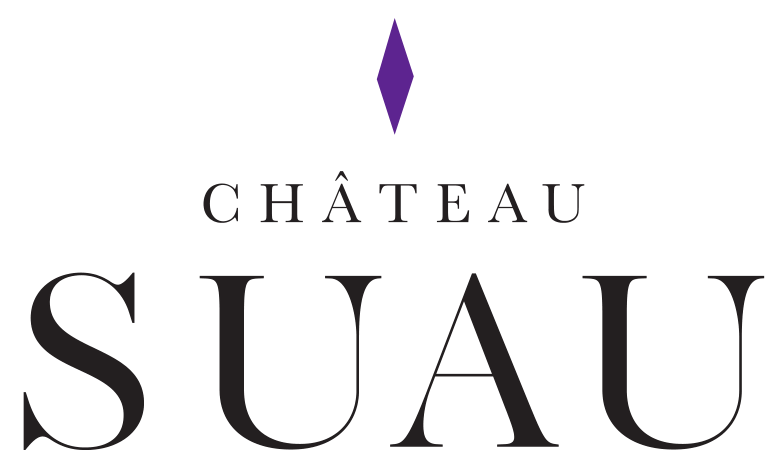 At Château Suau we have recently bottled our very first wine made without sulfites. Semper Viva (Toujours Vivant, always alive) is an organic wine made in very small quantities which is close to natural wine making philosophy. Available now!